Aptec & Track Launches Datacenter Partner Alliance Forum in Dubai. Launched Datacenter Partner Alliance Program to help solution providers in the Middle East to develop expertise in the datacenter arena. 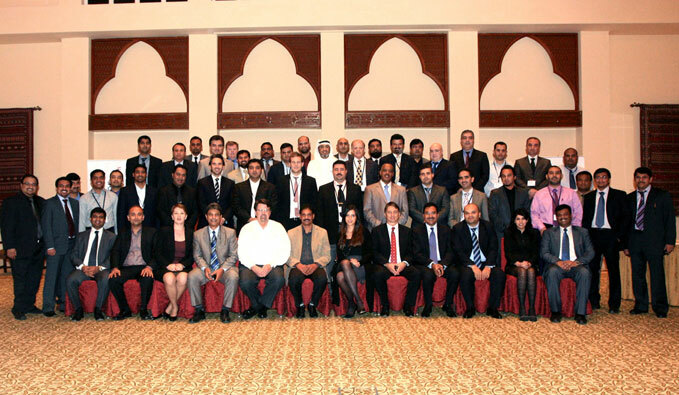 Dubai, 9th Feb 2011- Aptec Holdings Ltd, one of the region’s largest technology distributors covering Middle East, Pakistan, Turkey & Africa, Concluded its 1st ever Datacenter Partner Alliance Forum in Dubai on a high note. 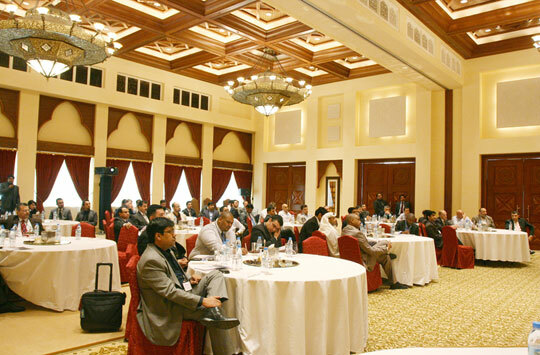 The event which was held on the 2nd Feb 2011 at the One & Only Royal Mirage Hotel saw 40 top resellers who were selected through a process defined by the datacenter guidelines attended the Forum from all around GCC, Yemen & Pakistan. The forum was brought together with vendors including Cisco, VMware, NetApp & APC. These vendors (Cisco, VMware, and Netapp) already share a global datacenter alliance together, where APC is an add-on to complete any datacenter solution. The Data Center Alliance forum, 1st of its kind in the Middle East, brought together an exceptional audience of the region’s IT industry professionals. The conference delivered an intense series of well-run, information-rich speeches and discussion, and a lively, business-oriented networking environment between sessions. The agenda for the event was to embrace a focused range of issues and topics relevant to the current evolution of data centres across the Middle Eastern region, and the technological and commercial challenges they confront. Top vendor representatives presented at the forum together with some of the top industry Guest speakers from Sterling & Wilson, Dubai World Central, Advisetel who were present to give reseller an insight on what they can expect in future of the Datacenter environment, why virtualization and growing needs on storage architecture to name a few. Aptec & Track together with Cisco, Netapp, VMware & APC launched the Datacenter Partner Alliance Program. The Datacenter Partner Alliance program is a new Aptec initiative to leverage the company’s strong tie up with best of breed vendors in hardware, software, networking and services. Through this program, Aptec and Track Distribution aim to deliver comprehensive datacenter solutions to reseller partners in the region. The Datacenter Partner Alliance program is partner enablement and loyalty platform designed for enterprise channel partners to explore, experience and exploit key technologies and solutions related to contemporary datacenters. The solutions under this banner will provide resellers with a greater choice for scale-up and scale-out server and storage consolidation and virtualization strategies to meet their customers Service Oriented Architecture needs. The program will also consolidate a portfolio of practical solutions designed to meet IT and business needs. In addition the program will also offer hands-on technical training at Track’s Data Centre Lab and Virtualization Training Centre, regular data centre and virtualization technology updates from the vendor alliance partners, incentives for partners, rebates for reseller companies that are on the program. Dr Ali Baghdadi, Aptec Holdings’ president and CEO said: “the Datacenter Partner Alliance Program aims to fast track resellers’ training in datacenter infrastructure and virtualization solutions from best-in-class vendors.” Dr Baghdadi added that Aptec as a group has teamed up with these leading datacenter and virtualization technology solutions vendors to accelerate channel training and offer channel partners hands-on experience on how to build efficient datacenters. “The Program is designed for our partners & we would like them to take advantage of the solution built & offered around the datacenter. We believe these solution will benefit in bringing more profit for you and your customers alike,” he added.